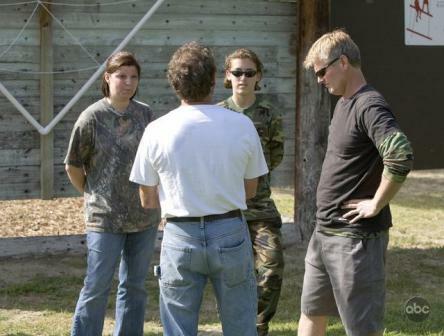 A FAMILY OBSESSED WITH THE THRILL OF ENTERING SWEEPSTAKES SWAPS LIVES WITH A FAMILY WHO ARE LIVING AN ENDLESS PARTY, ON ABC'S "WIFE SWAP"
A SELF-DESCRIBED SUPER-MOM WHO STILL BUCKLES HER NINE AND ELEVEN YEAR-OLDS INTO BOOSTER SEATS IN THE CAR SWAPS LIVES WITH A WIFE WHO ENCOURAGES HER KIDS TO DANCE ON THE FURNITURE, ON ABC'S "WIFE SWAP"
"Brown/Neighbors" - A self-described "supermom" who manages her children's every waking moment swaps lives with a free-spirited mom who would rather dance with her kids than check their homework, on "Wife Swap," FRIDAY, NOVEMBER 7 (8:00-9:00 p.m., ET) on the ABC Television Network. Each week from across the country, two very different families take part in a two-week long challenge: The wives exchanges husbands, children and lives (but not bedrooms) to discover just what it's like to live in another woman's shoes. It's a mind-blowing experiment that often ends up changing lives forever. "Melton/Dufrene" - - A woman whose family subsists on the Louisiana swamp swaps lives with a ballerina accustomed to cultured refinement, on "Wife Swap," FRIDAY, OCTOBER 24 (8:00-9:00 p.m., ET) on the ABC Television Network. Each week from across the country, two very different families take part in a two-week long challenge: The wives exchange husbands, children and lives (but not bedrooms) to discover just what it's like to live in another woman's shoes. It's a mind-blowing experiment that often ends up changing lives forever. 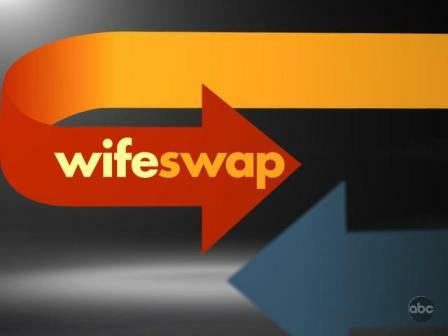 A COUNTRY WIFE WHO MANAGES HER FAMILY'S BLUEGRASS BAND SWAPS WITH A FREE SPIRITED WIFE WHO LETS HER KIDS PARTY HARD AND ENJOYS HER RAPPER SON'S RACY LYRICS, TONIGHT ON ABC'S "WIFE SWAP"